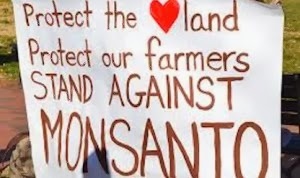 Thanks to the intellectual campaigns we have been launching on the front lines against the agricultural corruption brought upon by Monsanto and its GMOs, we are now winning the overall war against the corporate monopoly and genetically modified creations at large. One such major victory, which occurred as a result of activism and overall outrage from the public, is the announcement by Senators that they are going to ‘kill’ the Monsanto Protection Act renewal legislation. The Monsanto Protection Act, as you are probably aware, was of course the legislative rider (a slippery way to including law into a bill that is oftentimes irrelevant) that granted Monsanto legal immunity for its crops up until September 30th of 2013. A rider that some slimy senators were attempted to renew for additional months. But even though Monsanto was surely willing to help sway the politicians financially, they simply could not go against the colossal amounts of public outrage over the support for Monsanto and GMOs. A powerful form of activism that we are seeing more and more often around the nation and worldwide. The same powerful activism that has Monsanto cowering in fear of the general public that is awakening the disease machine practices of the company. Monsanto may be winning a few battles thanks to deep pockets and a willingness to do whatever is necessary to squash opposition (such as paying its way into the Prop 37 GMO labeling campaign in California), but overall we are winning the war for our food supply. Monsanto may escape GMO labeling for some time, but now even politicians are not able to side with Monsanto as they know they would lose their positions and face extreme backlash. The public is waking up, and Monsanto’s time is limited. Stay tuned to NaturalSociety and my other updates in the near future as we push forward the campaign to end Monsanto and restore the integrity of our food supply.